Has launching a business in the UK food and drink sector got harder? We all eat and drink, and most of us shop for groceries in one way or another. It is an intoxicating category for entrepreneurs and investors. The promise of seeing something you’ve built or funded on a supermarket shelf or in a friend’s fridge/pantry, and the potential revenues are huge. So it’s no surprise there are so many ideas generated and businesses started in the food & beverage (F&B) space. But anyone trying to build a new F&B brand has to be alive to the considerable challenges. As investors, we feel this sector – specifically in the UK – has generally become even harder to crack over the last few years. Whilst the UK has one of the most competitive grocery sectors in the world, it’s also one of the most concentrated. Tesco, Sainsbury’s, Asda and Morrisons between them are 70% of the grocery market. Gaining mainstream distribution is pretty much concentrated in the hands of the four retail buyers that control your category. It’s high risk if you can’t establish a good relationship. If you do get to the point of a negotiation, the power is very much in the hands of the retailer. However, there are some things that are helping. 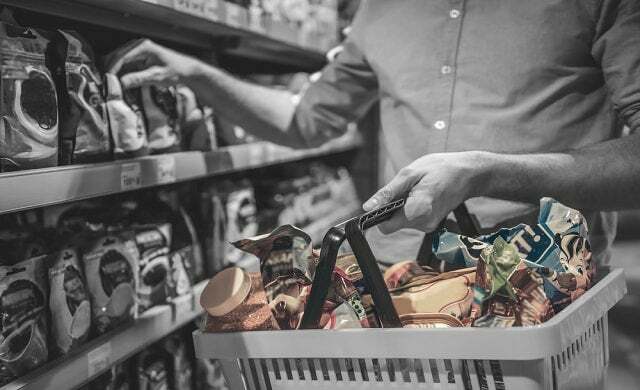 All the grocers are more interested in innovation – it’s the way they can create brand differentiation against their competition and with exclusive products, they are less sensitive to price comparison. For Sainsbury’s this has been formalised in their ‘Future Brands’ programme – where a central team (with more of a marketing bias) are helping to make introductions and encourage the category buyers to look beyond volume and margin to support innovation. Ocado (1.1% market share) & Amazon (much less) are very receptive to new products – to list a product, they only have to justify a space in a dark warehouse and not consider the opportunity cost of precious shelf space in a shop. Unfortunately, the downside of being more receptive to listing products is a faster churn and a retailer’s ruthlessness to de-list if a product is not performing. So the most important question has shifted from ‘how to gain more outlets’ to ‘how to increase rate of sale’. No entrepreneur should take space in stores without having a clear plan for (and understanding) the investment needed to ensure the product moves. I’ve seen F&B brands that have been talking to a retailer about being listed in a certain number of stores, then for that to unexpectedly increase. The entrepreneur celebrates, but I add a note of pessimistic caution – a larger number of (generally smaller) stores makes the job of building rate of sale harder. One of the reasons building rate of sale is hard, even more so to build it to something that compares with established products or even new products from established brands, is that new businesses have many fewer options within their marketing arsenal. An established brand will likely have close to 100% distribution across the grocery sector. And will use the volumes generated to negotiate deals to list even speculative looking brand extensions across most of the store volume that the big grocers control. This means they can make national advertising, PR, endorsement and other communications work. Brand recognition helps in the first place, but more critically, a new product that is not listed in many stores would waste the majority of any advertising. A new brand has done well to, for example, get listings in the largest, 200 Tesco, 100 Sainsbury, 100 Waitrose and Ocado. But this would still only be around 14% of the grocery market – so wasting 86% of any national communication investment. Therefore, marketing needs to be laser-targeted at the locations where the product can be found – largely sampling, coupons & local promotions. All high effort and relatively expensive ways of building volume. These need to be prioritised ruthlessly to the highest volume locations. There are significant shifting consumer behaviours within F&B currently – more and more substantial than in years before. Low sugar in drinks (and moving into other categories), vegan, gluten free, non-diary, functional, age-targeted, removing plastics, cutting out waste. The difficulty is to be in early enough to have a chance of leading (or even owning) the trend in the category, but not so early as to be before sufficient demand emerges to create some mainstream scale. Just because Kombucha or nut cheese is big in Shoreditch doesn’t mean it deserves significant investment – yet. The reason the mainstream F&B incumbents (for example Unilever, P&G, Coca-Cola or Pepsi-Cola) are behind the curve on these trends is not because they haven’t spotted them (they tend to have pretty bright talent in these businesses), but because their business models are dependent on operational scale. The good news is that they may be interested in buying a fast-growing business if it really brings something they cannot do themselves – that could be something about the brand, something that would be very difficult to replicate in the product formulation or, occasionally, an operational innovation that reduces the cost of production and/or supply. The bad news is that they can do a lot, and sometimes quickly, once they decide a sub-category or trend is worth going for. Some of this might seem a little pessimistic about the chances of the small start-ups versus the mighty fast-moving consumer goods (FMCG) businesses. However, there are examples – Innocent (sold to Coca-Cola), Fever Tree (IPO’d at £154m and now 22 times the value of that listing), Gu (sold to Nobel Foods) – that show it is very possible to build a successful business and create a significant return from an exit. They serve to remind us what it takes – truly innovative products, distinctive brands, creative communication and marketing; good timing; precision operational execution and some deep pockets from investors.